The ‘basalt city’ of Bosra is best known from its wonderfully well-preserved Roman theatre. However, the city is not only rich in ancient ruins. Large parts of the ‘modern’ city that was built reusing bits and pieces of ancient buildings as well as utilising the Roman street grid have themselves been abandoned. This makes for an extremely interesting multitemporal ruinscape that also tells a story of modern dislocation and abandonment. 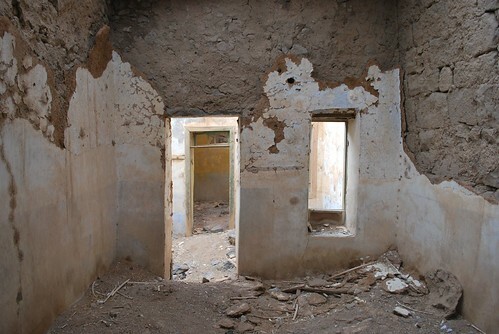 A deserted house in Bosra, Syria. Photo: TMK, October 2008. 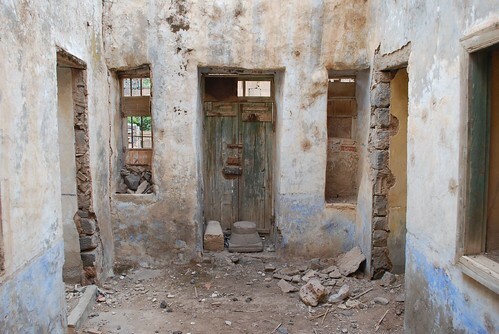 A deserted house in Bosra, Syria. Note presence of Roman capital to block the front door. Photo: TMK, October 2008. 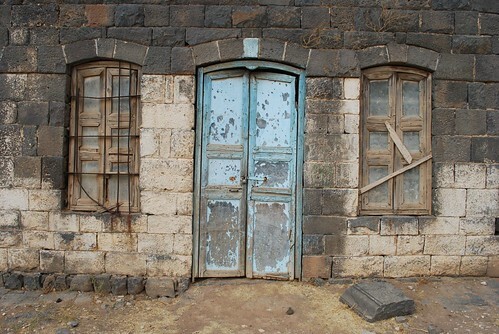 Doorway of a deserted house in Bosra. 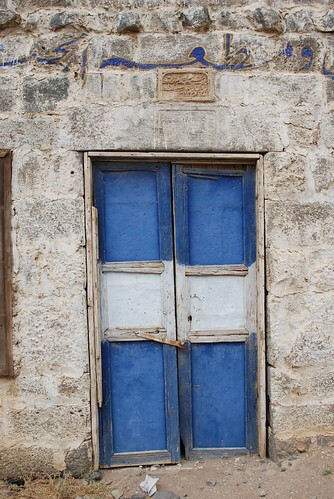 Note the Roman and Islamic inscriptions reused above the door. Photo: TMK, October 2008.